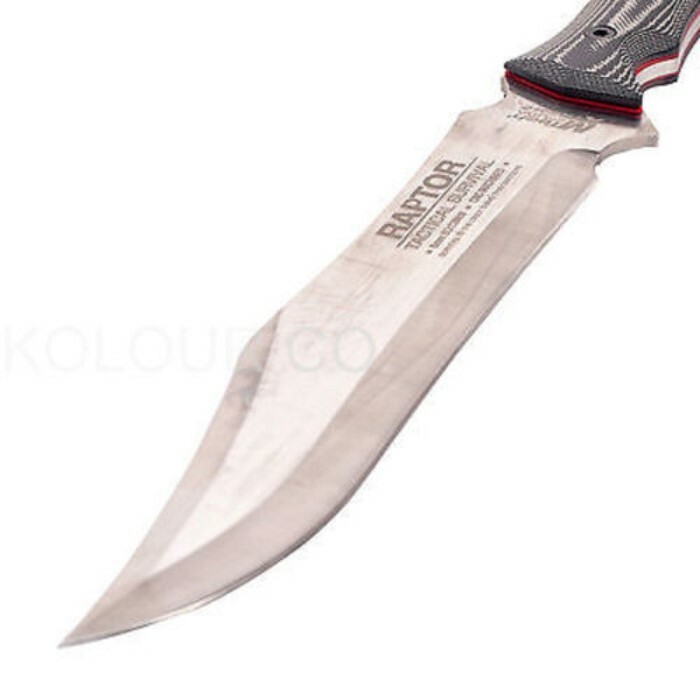 MTech Xtreme 18-Inch Fixed Blade Raptor Survival Knife | BUDK.com - Knives & Swords At The Lowest Prices! 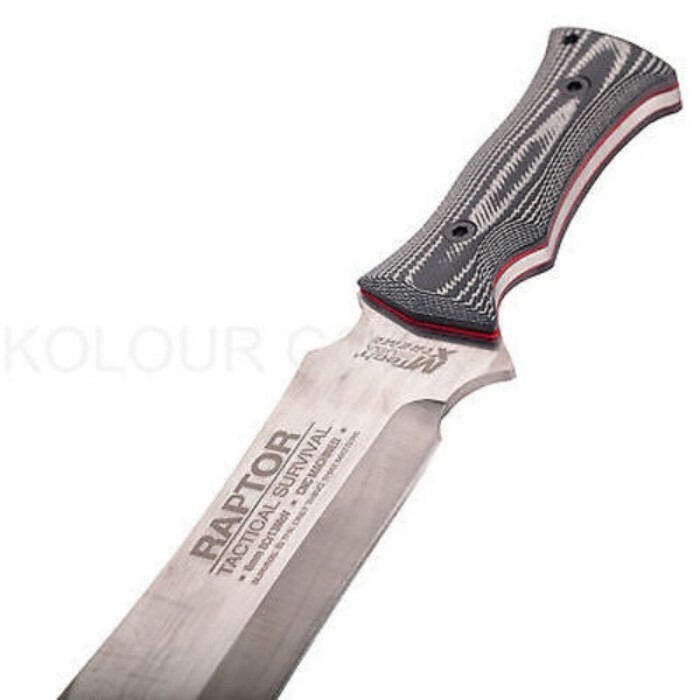 The 18-inch MTech Xtreme Raptor fixed-blade survival knife features a hefty modified clip point blade that will handle all your day-to-day chores. 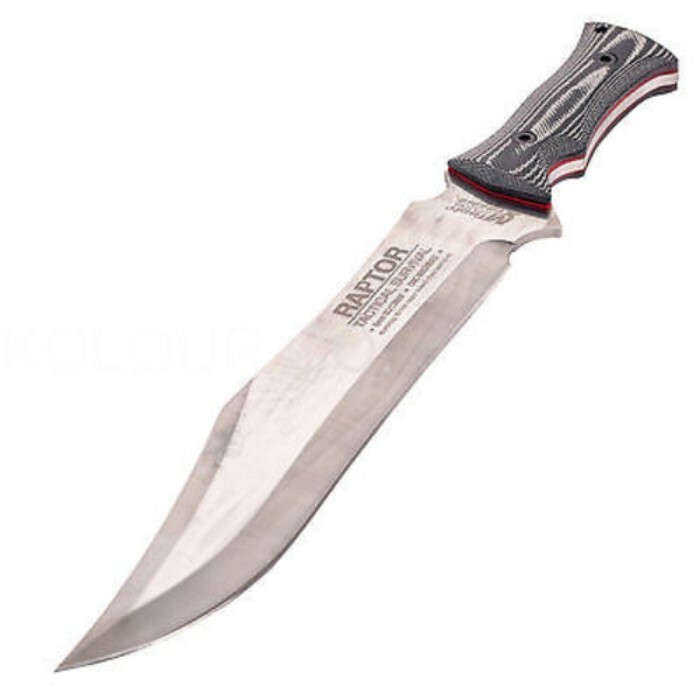 The premium Micarta handle provides a secure grip with a lanyard hole. Ordered that knife waited anxious and boom that she was in the mail, very solid nice weight to it... I expected to be good but it was excellent great product already ordered another "Bowie " different one tho, I had my doubts but no more BUDK" rocks. 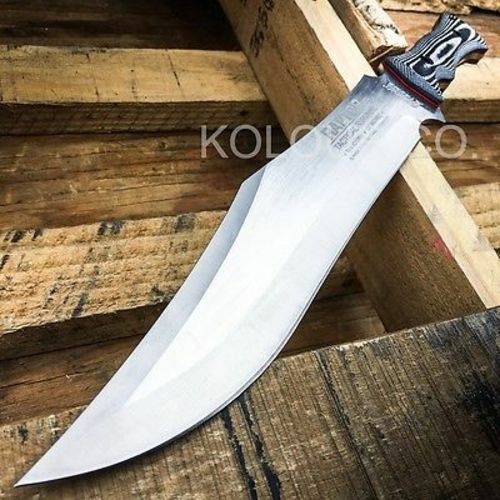 This is a BIG knife. It arrived razor sharp but was kind of dirty; a quick clean with a miracle cloth and it was good to go. This knife is heavy (over 2.5 lbs.) for heavy duty use. The sheath is made well and holds the blade nicely.